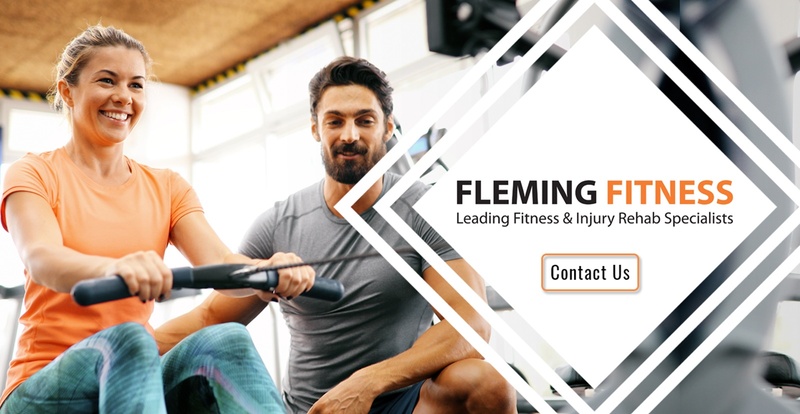 Fleming Fitness is a mobile Kinesiology/Personal Training company servicing Eastern Ontario. Our Registered Kinesiologists and Certified Trainers have experience working with a variety of clientele from healthy to severely injured and to the elderly. We provide active and post rehab exercise therapy in the comfort of your home. Sessions are one on one for an hour using different types of equipment (therabands, medicine balls, DB’s, body weight, foam rollers, yoga balls, etc). Most injuries we deal with are complex and some are catastrophic (e.g. complicated fractures to concussions and traumatic brain injuries). We service Ottawa and Eastern Ontario. Our coverage includes, but is not limited to Rockland, Casselman, Spencerville, Kingston, Trenton, Carleton Place, Arnprior and Renfrew. To provide guidance, direction and expertise about proper nutrition and exercise to our clients so they live long, healthy, prosperous lives. Our focus is pain management, mobility/movement, and strength. Our goal is to get you moving again and functioning at a higher level while decreasing your pain making your ADL’s and activities easier. Our focus is mobility/movement, balance, strength and energy. We’ll try and increase your metabolism to slow down or even reverse the aging process. Our focus is weight management, strength, balance and flexibility. Our goal is to keep you mobile, active and healthy. We use functional and corrective exercises to make everyday activities easier. We help educate our clients about proper nutrition and making it a lifestyle. Our clients also learn to use exercise to help manage anxiety and depression. We work closely with other health professionals on your team to provide the best service possible.